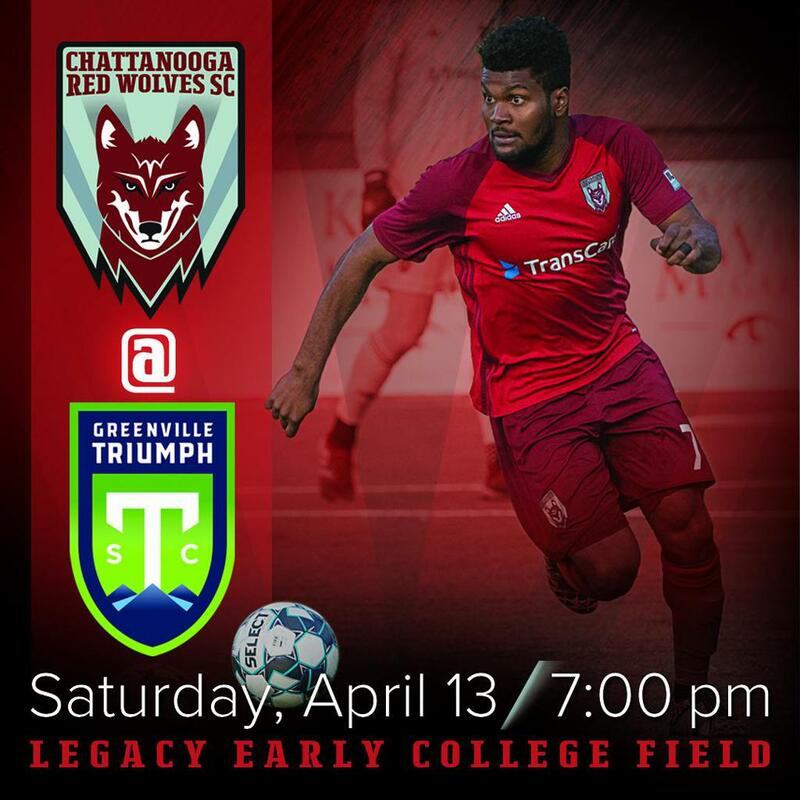 Chattanooga Red Wolves SC (1-1-0) is set to face Greenville Triumph SC (1-1-0) on the road for the team's third regular competition. The match kicks off at 7:00 p.m. ET from Legacy Early College tomorrow, Saturday, April 13. Chattanooga Red Wolves SC (1-1-0) is coming off of a 1-0 victory over Forward Madison FC (0-1-0) 1-0 for the club's inaugural home opener held Saturday, April 6 at David Stanton Field. After a 0-0 draw at half, veteran striker Eamon Zayed found the net on a volley in the 66th minute, scoring the first goal at home in Chattanooga Red Wolves SC's history. Chattanooga held on to secure the historic win for the first-ever meeting between the two clubs. The Red Wolves are looking to claim the team's second victory of the regular season and first victory on the road. This match marks the first of three meetings between Chattanooga and Greenville. Following the match, Chattanooga Red Wolves SC will return home for a week of training before hosting South Georgia Tormenta FC on Saturday, April 20 at 7:00 p.m at David Stanton Field. Watch Party at OddStory Brewing Co. // 6 p.m. The Greenville Triumph is one of ten founding members of USL League One. The Triumph play their home games at Legacy Early College. The club has added a 4,100 seat stadium to this site as well as built a press box, beer garden and fan zone area. They have donated a score board to the school which will stay there once the Triumph move to a permanent stadium. The team is coached by Soccer Hall of Famer, John Harkes. Assistant coaches are Alex Blackburn and Rick Wright. ©2019 Chattanooga Red Wolves SC / SportsEngine. All Rights Reserved.